I spent money this week. At the guild meeting, we had a speaker and I loved what she was doing. Of course I had to buy her stuff and my plan is to use it on a project I’ve been mulling over for awhile and just didn’t know exactly what to do. I need to get this one done by June so it won’t be big but it will be different than what I’m used to. I also signed up for next month’s workshop which will be on a beautiful bag. I’ll probably be spending money then too. Not to mention that I’ll be at QuiltCon this week and while I’m not planning on spending a lot of money, I am planning on spending some. Oh and when Bailey gets back from being serviced, I’ll have to pay for that too. And then starts the rotation of sending all my machines in to be serviced. I plan on sending them in one month at a time. I don’t know if I need to send them all in but the Bernina will be in for sure in May. She’s my workhorse so I make sure to send her in at least once a year. The others I use sparingly so if I don’t bring them in as often, it’s not a big deal. I’m working slowly on the Rosie hat and not getting a lot done quickly. We’ll have to be okay with that but now I wonder if I even need to count my yarn stash. I’m not buying any yarn at the moment and I haven’t felt the urge to buy. We’ll keep it up for now but if this continues, I may remove this report at some point. And for Slow Stitching Sunday with Kathy at Kathy Quilts, I’m going to be binding Tell It To The Stars! Once that is done, I’ve picked out my next hand project. It’s A Rainbow Garden, my first wool BOM that I started too many years ago. I think I got 2 or 3 blocks done. I’m not sure. I’ll probably pull it out in a couple of weeks. Since next weekend is QuiltCon. Happy Hubby Birthday! The 13th is my husband’s birthday! Happy Valentine’s Day Melanie! Thanks Dori! 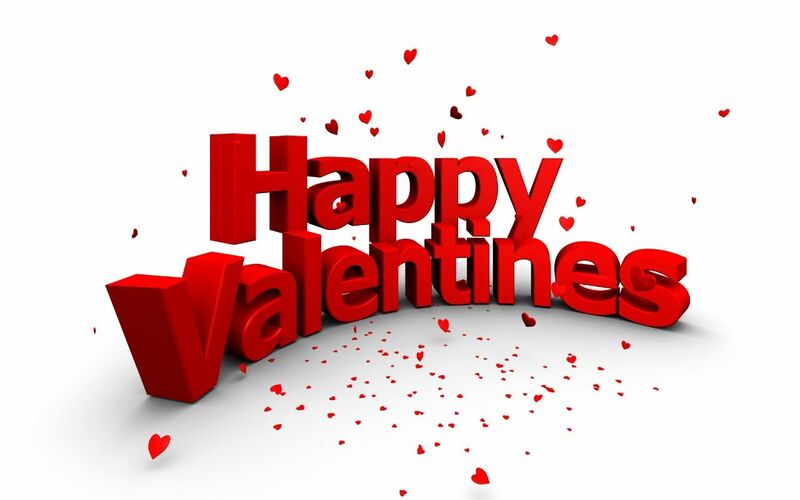 Happy Vday to you and Katie too! Looking forward to seeing you this coming QuiltCon! 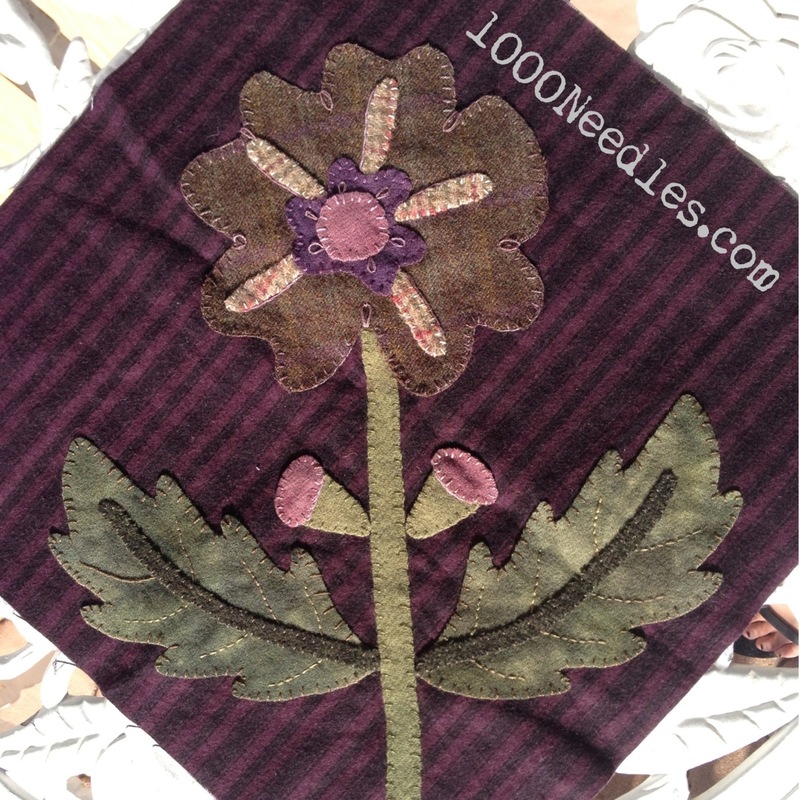 I like that wool flower – you do nice stitching. I don’t think cleaning and servicing sewing machines should come out of your craft budget. Enjoy your binding… that’s my favourite hand stitching task!